Chicken Breast. 8. Blackened Scallops. 8. Tiger Shrimp. 8. Salmon. 12. Di Casa Mixed lettuce, shredded mozzarella, Roma tomatoes. 9. Caesar Butter lettuce, Caesar, pecorino cheese, homemade croutons. 11. PZ Arugula, dried cranberries, Gouda cheese, cherry tomatoes, toasted pecans, walnuts, balsamic vinaigrette. 13. 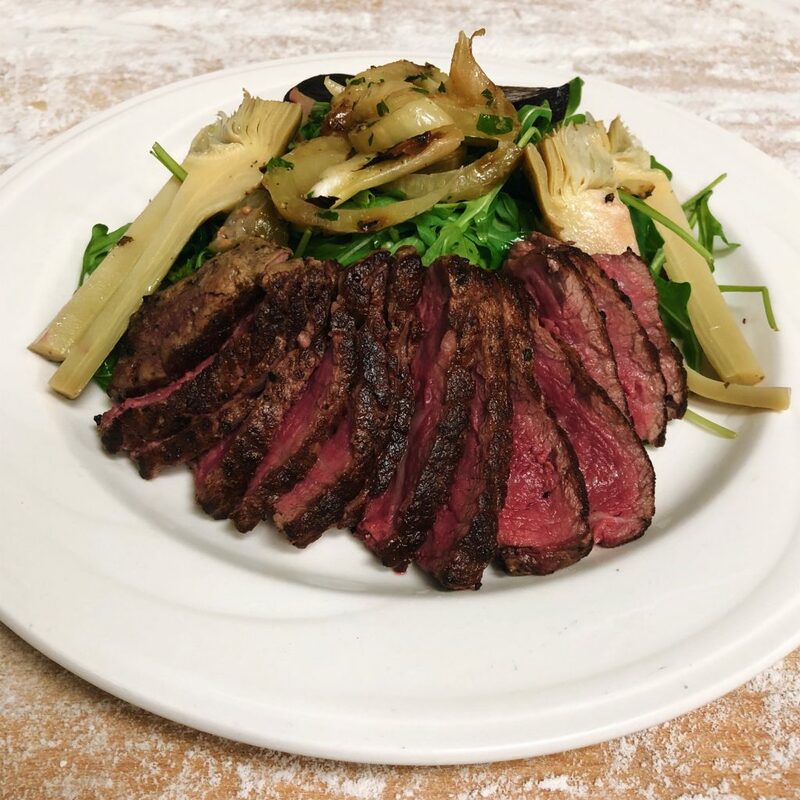 Filet Mignon & Arugula USDA Prime Certified beef flame broiled, arugula, caper berries, fennel, roasted beets, artichokes,vinaigrette. 28. Wedge Butter lettuce, cherry tomatoes, bacon, gorgonzola crumbles, blue cheese dressing. 13. Seasonal Salad Weekly special selection of local greens. 13. 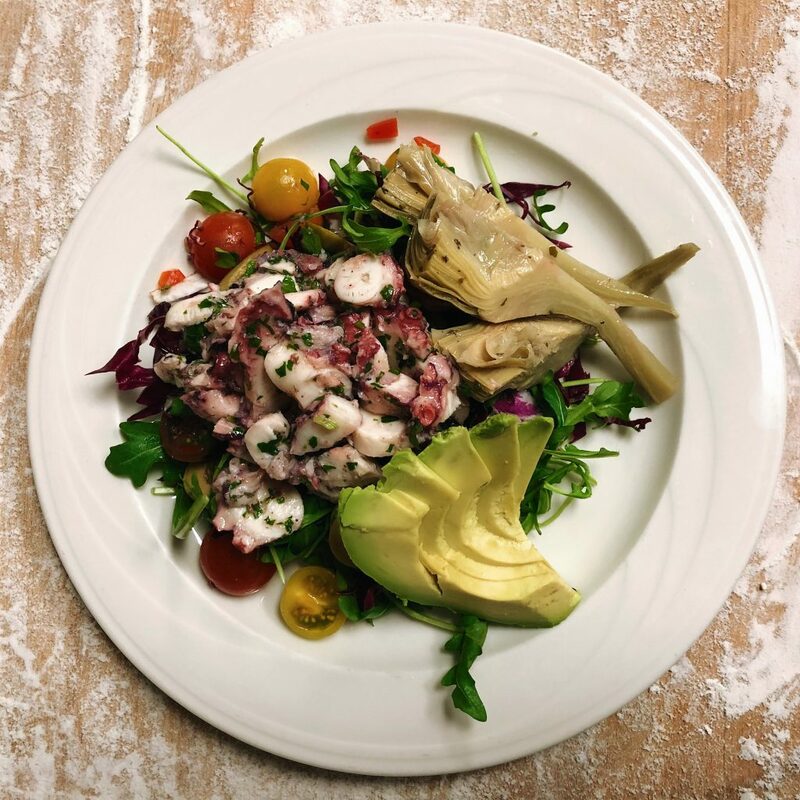 Octopus Salad Sliced octopus, arugula, artichokes, radicchio, heirloom tomatoes, avocado, green olives, lemon vinaigrette. 20. 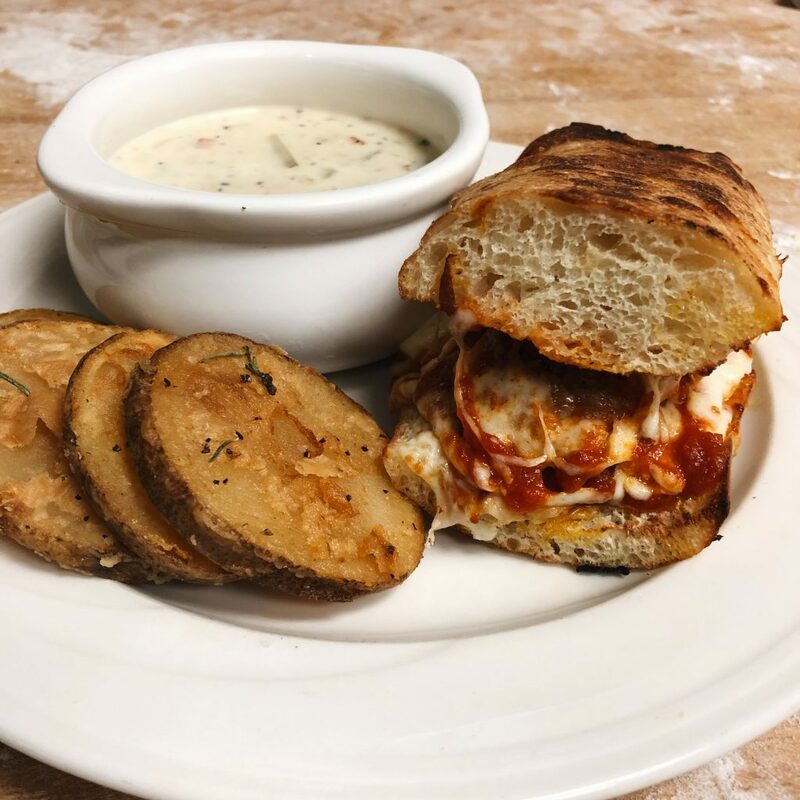 All sandwiches are made with homemade fresh baked Italian bread, toasted, and served with rosemary potato wedges. Substitute for side salad. 3. Steak Sandwich USDA Prime Top Sirloin, mozzarella, roasted bell peppers, caramelized onions, salsa verde. 19. Chicken All-natural pasture raised chicken breast seared, buffalo mozzarella, tomato, red onion, arugula, pepperoncini, jalapeno aioli. 17. Half Sandwich Combo. Available until 4pm. Meatball Grass-fed beef meatballs, Bolognese, mozzarella. Vegetariano Eggplant, portobello, bell peppers, onions, tomatoes, basil, buffalo mozzarella, vinaigrette. Misto Turkey, mortadella, salami, mozzarella, tomatoes, lettuce, vinaigrette. 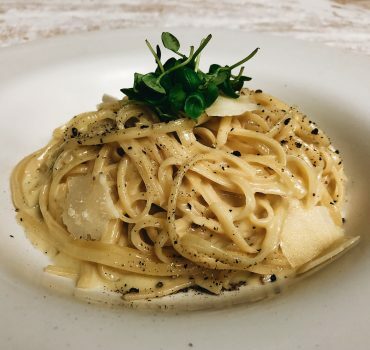 Gluten free pasta options available. 5. Pomodoro Penne, San Marzano tomatoes, basil, buffalo mozzarella. 15. 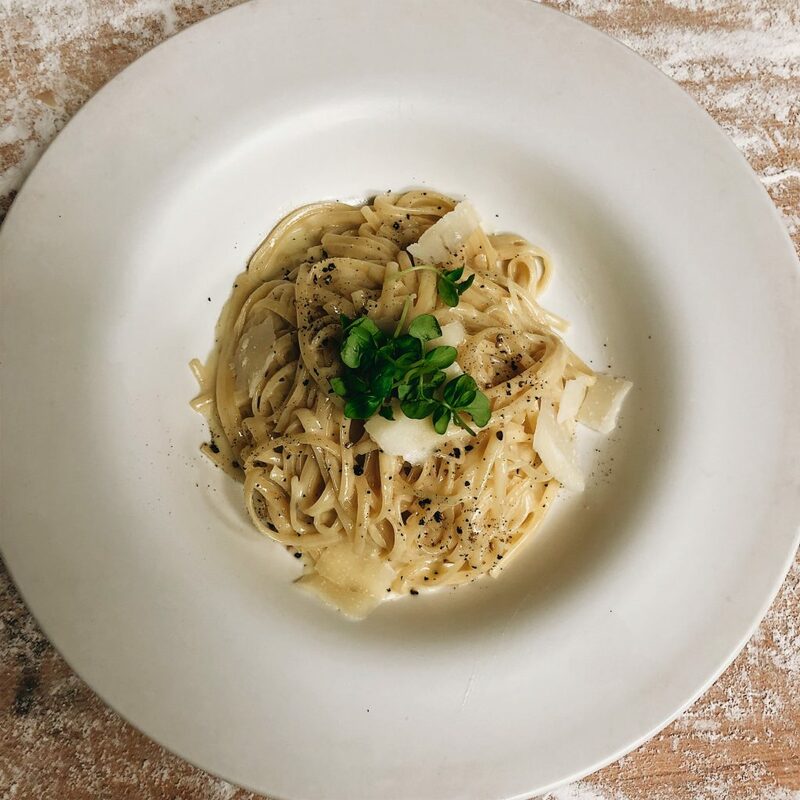 Cacio de Pepe Linguini, Parmigiano-Reggiano, black pepper, olive oil. 14. 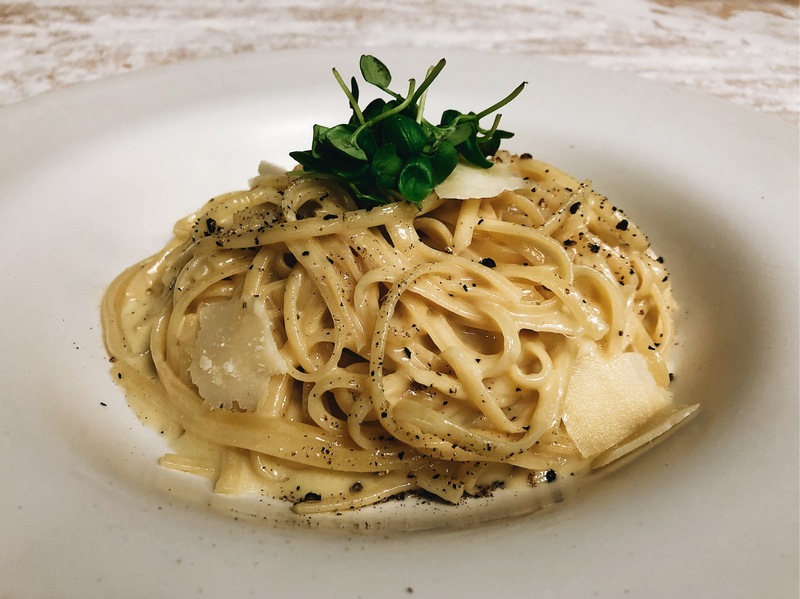 Puttanesca Linguine, caper berries, olives, cherry tomatoes, olive oil. 17. Chicken & Roasted Peppers Penne, all-natural pasture raised chicken breast, bell peppers, alfredo. 17. 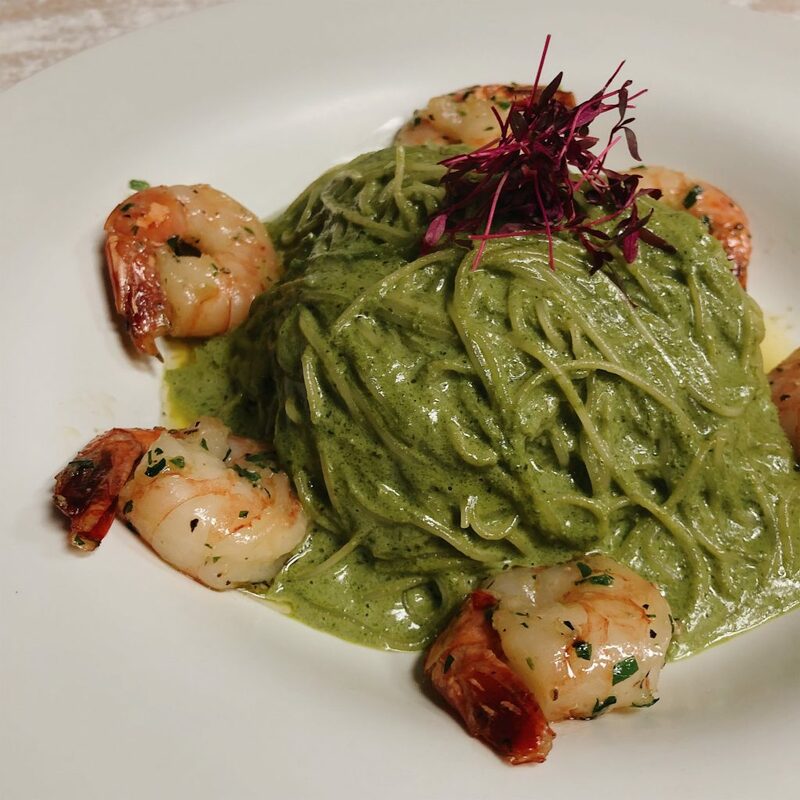 CapelliniAngel hair, Black Tiger shrimp, pesto, basil. 18. Catch of the Day. MP. Salmon Filet. 28. Ahi Tuna. 28. Served with this week’s seasonal harvest vegetables. Brie Mac n’ Cheese. 11. Four jumbo shrimp with garlic butter sauce. 19.